Marketing philosophy: Thought experiments are the product, and podcasts the placement. It just needs a product—thought experiments (TXes, if you will)—and a marketing plan. Diogenes and Plato. Oil on canvas, 1649. Only the bravest would side with philosophers in the end days of their turf war with scientists. For America’s pipe-puffing perplexity-ponderers, the tweed grows heavy and the hour late. Scientists have the flashy buildings, the splashy headlines, and credit for the “most impressive intellectual feats” of the age. The National Science Foundation has a budget of around $7 billion, while the National Philosophy Foundation—oh wait, there isn’t one. Amy Ferrer, executive director of the American Philosophical Association, offers reasons to be skeptical of the data on declining philosophy majors. But she acknowledged that at the root of “any perceived crisis” were “mistaken impressions about philosophy’s worth and practicality.” In public relations terms, a perceived crisis is a crisis. Let’s take it as given that every civilization will want a few philosophers on staff. Someone needs to keep humanity’s oldest intellectual fires burning. Someone needs to keep both comedians (Monty Python) and liquor stores (“I Drink Therefore I Am”) in the style to which they’ve become accustomed. And someone needs to regularly remind us of the value of unanswerable questions. But if philosophy is so important, then selling itself to the culture at large is important too. So it’s time for philosophers to put their clothespins on their noses, wade into the stench of real-world commerce, and ask some of those tanned and toned marketing majors who skipped out on Philosophy 101 for some help. 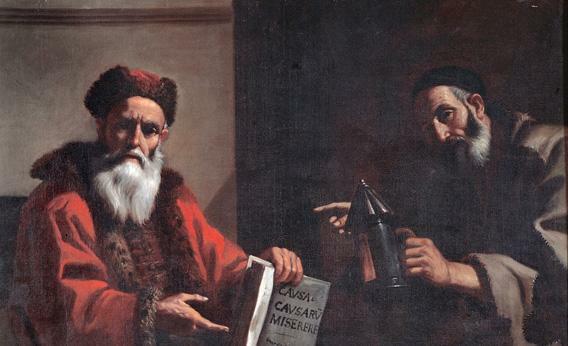 What might a marketing plan for philosophy look like? The Four Ps (product, price, place, and promotion) constitute perhaps the best-known marketing template. In a digital era, though, the Four Cs model may be more relevant: consumer, costs, convenience, and communication. First up is the consumer. Ponder the belching smokestacks at your nearest philosophy factory. What’s the product? The answer is … questions. As physicist Lawrence Krauss put it, “To first approximation, all the answerable [questions] end up moving into the domain of empirical knowledge, aka science.” But what type of philosophical question is best suited to an age of atomizing attention spans? What’s the Odwalla of philosophy—a nutritious, practically predigested grab-and-go for the mind? Thought experiments. Thought experiments (TXesTM, we’ll brand them) are the perfect philosophical consumer product for our age. The high they produce—a gratifying puzzlement, a perfectly framed issue, an “A-ha!” moment of insight into you and your society’s intuitions and contradictions—is quick and addictive. TXes are accessible and democratic, often by design. They strip out extraneous details and walk the user straight to the heart of a complicated issue. They’re much more democratic than science: By definition they don’t require a lab, special equipment, or any pesky numeracy skills. They’re easily remembered and shared (many fit into 140 characters). They’re fun on your own but wouldn’t be out of place at those dinner parties, either. So a computer will never “understand” Chinese—or anything else? Check out the fevered universe of incredibly fascinating replies. Then there’s the family of TXs known as trolley problems (forming practically their own subdiscipline, aka Trolleyology). Would you flick a switch to send a trolley down a track with one person on it instead of five people? How about pushing someone from a bridge onto a track to stop the trolley from hitting five others? Trolleyology TXes are useful to anyone thinking about torture, terrorism, or the rationing of medical care. Or consider gun control. Let’s say you see a known murderer threaten a gun-owning homeowner, and at that moment you take the homeowner’s gun away. How’s that different from passing a gun control law? (The fact that Jeff McMahan, a philosopher at Rutgers, has singled this TX out to argue against shows its rhetorical power.) Abortion, too, has its controversial thought experiment: What are your responsibilities if you woke up in a hospital attached to someone who depended on you for life support? The next C in our marketing plan is costs. More good news for philosophy. Lots of TXes are already out there, free. Philosophers could try to patent existing ones—America is a land where someone actually tried to patent the concept of patent trolling. But an open-source model is probably more consumer-friendly. And while bench science costs an arm and a leg, new TXs can be produced for little more than the cost of an armchair, the occasional endowed professorship, and some Two Buck Chuck. Convenience (placement, under the old marketing system) is more problematic. Where is today’s consumer going to encounter TXs? One excellent line of distribution: the podcast. Philosophers already have some of the best podcasts out there. Top of the list is Philosophy Bites, in which leading thinkers submit to a 15-minute murder board on not-so-bite-size topics like fate, moral responsibility, and Nietzsche. Philosophy Bites goes well with the driving of cars, the mowing of lawns, the awaiting of buses, and the cooking of any dish that doesn’t require constant recipe-reading (my rule of thumb: If you can cook it while drinking, you can cook it while Philosophy Biting). Not every episode explicitly addresses TXes (though here are a few about thought experiments in general, trolleys, and Peter Singer’s The Life You Can Save). But TXes pop up regularly regardless. Indeed, the marriage of TXes and short podcasts isn’t accidental. Designed to play on our intuitions, TXes are meant to be easy to grasp. A more explicit podcast series running through famous TXes would be a good place to start (it’s been tried before, but not by the geniuses at Philosophy Bites). They could even take on scientific thought experiments—again, to “own” the TX method. Podcasts aside, the philosophy shopping experience desperately needs some glitz. We need more websites like Philosophy Matters, whose creator believes that philosophy has—no!—“a bit of a PR problem.” As for the American Philosophical Association, it announced its Twitter account only this year; its Facebook page has yet to breach 500 likes; the association’s website desperately needs a refreshing facial peel or two. The association seems newly committed to marketing—it was recently hunting for a new logo and “associated branding items.” Perhaps the APA can buy the website philosophy.com from its current owners (“a brand”—see?—“that approaches personal care from a skin care point of view, while celebrating the beauty of the human spirit”). Which leads us to the last of the marketing C’s, communication. Promotion, essentially, or advertising. What’s the difference between supporting gun control and taking the gun out of the hand of a gun owner at the very moment he or she comes face-to-face with a home intruder? Philosophy. The best answers come from the best questions. Then there’s Bruce Lee (he apparently only claims to have majored in philosophy, but we could fix that with an honorary degree). Or how about Pat Buchanan and George Soros, squeezed into an armchair, with the tagline “Philosophy. What they have in common.” But really, it would be hard to beat Steve Martin: “Hey, there is no cause and effect! There is no logic! There is no anything!” Geology, Martin said, that’s just facts you’ll forget. But philosophy? “You remember just enough to screw you up for the rest of your life.” Spoken like a true believer.